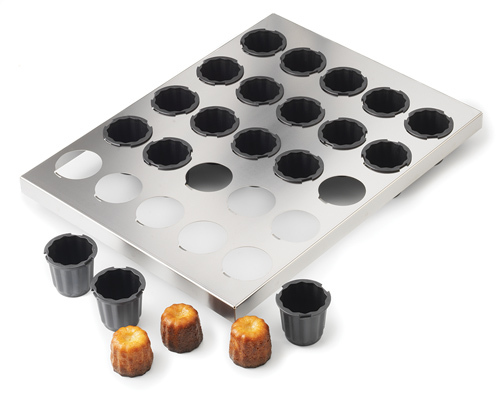 Stainless steel tray holds 16 individual Exoglass® cake molds. Easy and fast handling for filling and baking. Molds are removable.